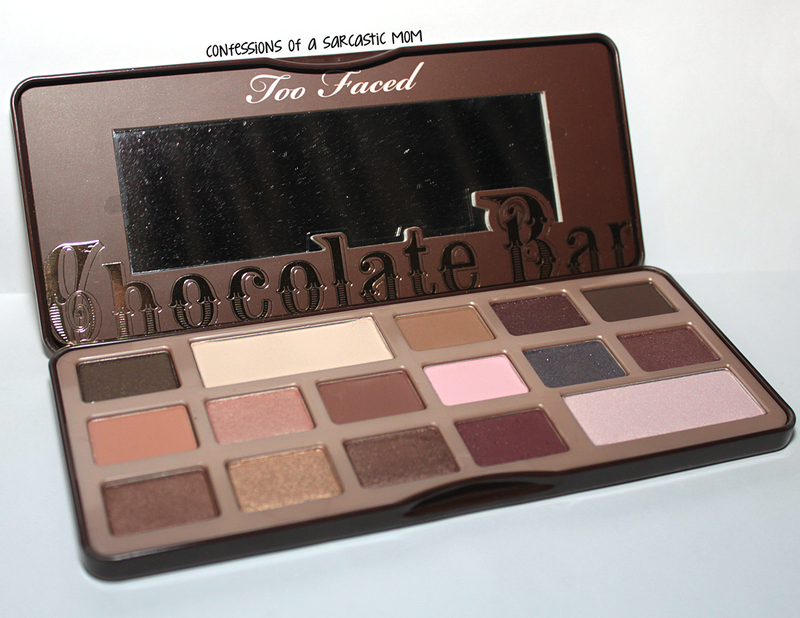 Too Faced Chocolate Bar Palette - worth it? 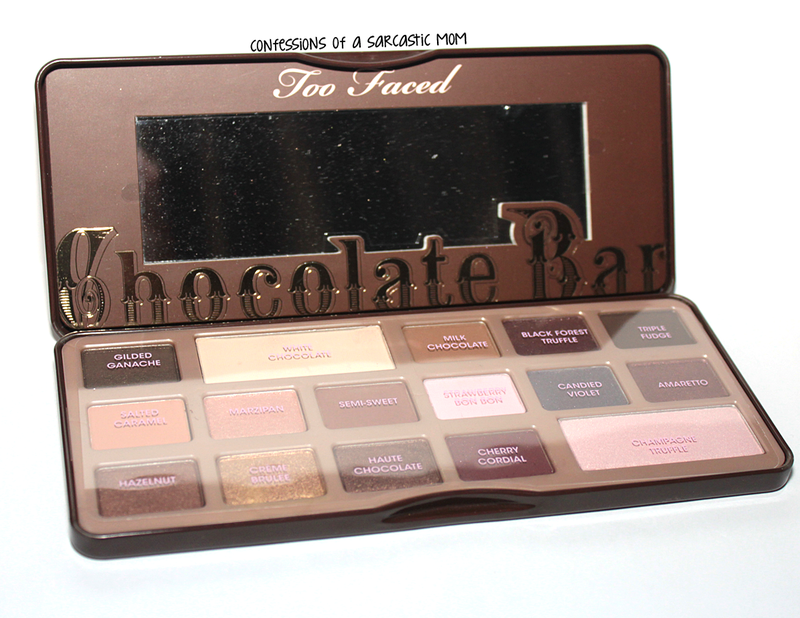 So this palette, the Too Faced Chocolate Bar palette, has been around for a while. It was also just a little too rich for my blood. However, I won a giveaway from Cosmetics Sanctuary, and the prize was an Ulta gift card. The first thing I decided to splurge on was this palette! 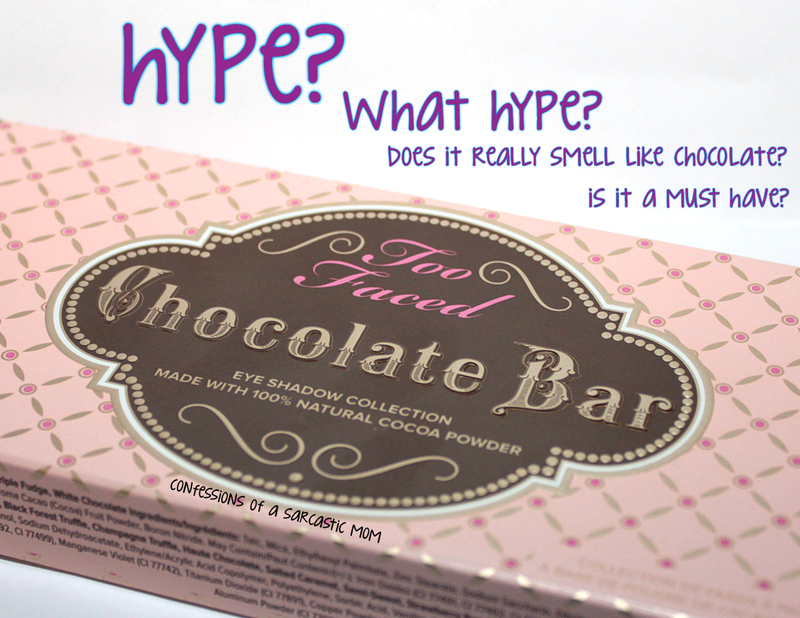 For starters, as you can see noted on the package, it's made with cocoa powder. And yes, it does smell like chocolate. This has kept me from using it more than a few times! BUT I busted it out the other day and used it, and I have to say... it's smells phenomenal, but it WORKS even better. 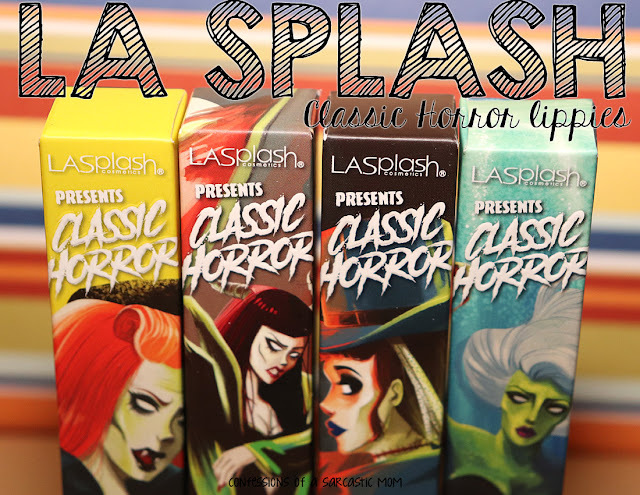 The colors were so blendable, they were so easy to apply. Had I thought about it I would've take some real photos of my makeup that day, but we were going to our celebrate our anniversary, and I wasn't really thinking about photos. 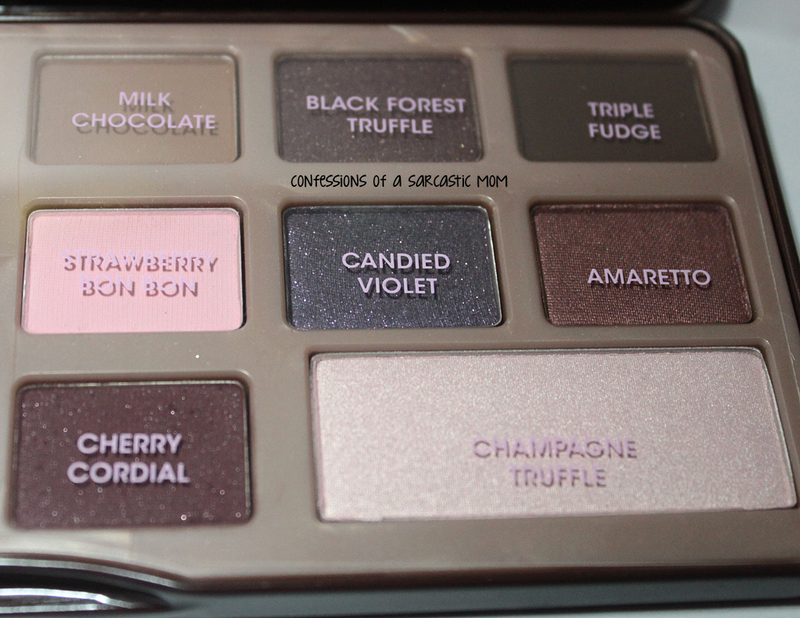 I love that all the shades and foodie names hahah There is a good cross section of matte shades and shimmery shades, and the colors are muted, but all chocolate-related. Or chocolate-adjacent. :) For me, now that I've tried it, I can say it's a must have, and I'm SO glad that I got it! One of these days I will get out of my "oh no I can't show my face" mode, and actually start doing makeup looks. I really want to, honestly. It's a life-long self conscious thing. 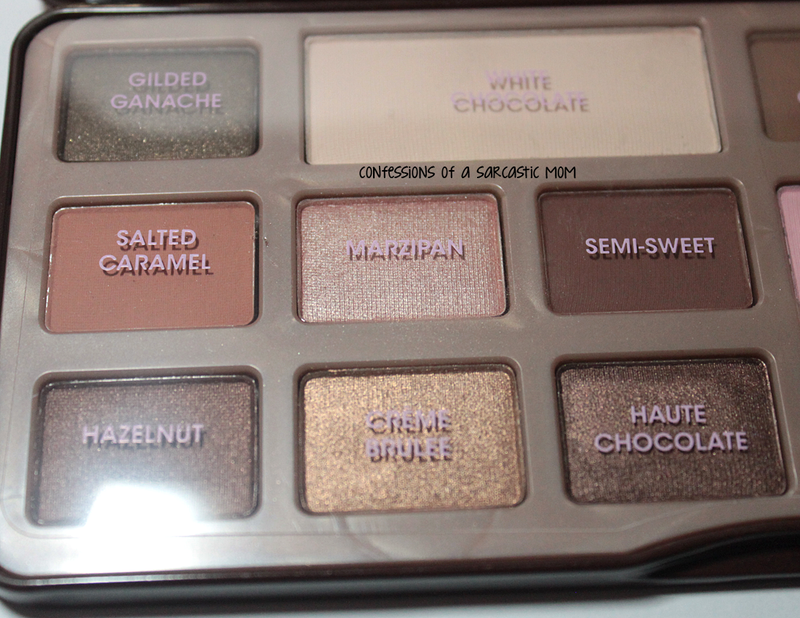 At any rate, do YOU have this palette? Is it a "special occasion" palette for you, or do you use it often? I think after my initial use, I will be using it more often. The colors are just so natural for me. Very neutral.